High Quality Content by WIKIPEDIA articles! High Quality Content by WIKIPEDIA articles! 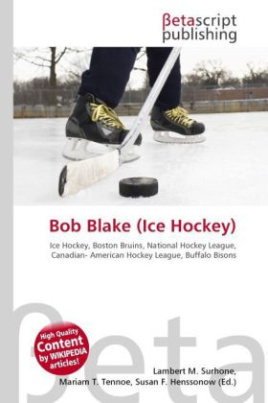 Louis Robert "Bob" Blake (August 16, 1914 November 26, 2008) was an American ice hockey player who played with the Boston Bruins in the 1935-1936 National Hockey League season. After three years of hockey in high school, Blake began his professional career at the age of 17 in the Central Hockey League. Within two years he was one of the Canadian-American Hockey League's top scorers and was given an opportunity to play with the Bruins in 1935.